Please register to attend : http://www.anymeeting.com/PIID=E956DB85864B30 This presentation will help attendees to better understand LabCollector LIMS and will also show how users can monitor their equipment temperature thanks to the DataLogger. 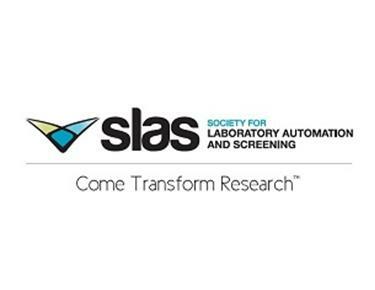 The Society for Laboratory Automation and Screening (SLAS) today announced a partnership with the American Chemical Society (ACS) San Diego Section centered upon collaborative activities related to SLAS2014. SLAS2014, the Third Annual Conference and Exhibition of SLAS, will be held January 18-22, 2014, at the San Diego Convention Center. 06/12/2013 - Blaze Systems Releases BlazeLIMS 5.5 With New HI Features for Enhanced Usability and Much More. Blaze SystemsCorporation announces the release of version 5.5 of its flagship BlazeLIMS Enterprise and Small Enterprise Products. This release provides powerful new human interface (HI) features for enhanced usability, including new panels for navigation, hierarchical folders of objects (samples by state, etc. ), and an object browser, all configurable to best meet user needs. The Matrix Gemini Laboratory Information Management System (LIMS) from Autoscribe is a versatile system that can meet the varied requirements of contract laboratories both large and small. In addition to ease of set-up for traditional LIMS activities through its unique �OneTime configuration tools�, Matrix Gemini offers bulk sample registration templates, multi-site use through its standard web browser interface and can readily incorporate business information alongside the laboratory data. GE Healthcare announced today its plans to invest $2 billion over the next five years to accelerate the development of innovative software for healthcare systems and applications. GE Healthcare has a long history in software with its Healthcare IT business; and this investment is designed to advance current and future offerings in order to address new and pressing operational and productivity challenges faced by healthcare organizations around the world. Agilent Technologies Inc. (NYSE: A) today introduced two applications that further enhance its MassHunter Workstation software and LC/MS, GC/MS and ICP-MS instruments. These new applications empower users to rapidly create targeted screening methods for food safety and forensic analysis, and to characterize intact proteins and biosimilars for biopharmaceutical research. PointCross Life Sciences today announced the immediate availability of a multi-tenant software as a service (SaaS) environment to support the preparation and review of study datasets prior to their submission to the FDA's NIMS (Nonclinical Information Management System) solution. IDEXX Laboratories announces the release of IDEXX xChekPlus® software, facilitating diagnostic data management for disease and vaccination monitoring of livestock herds and poultry flocks. xChekPlus enhances the functionality of xChek®software, which is used daily by diagnostic laboratories worldwide. 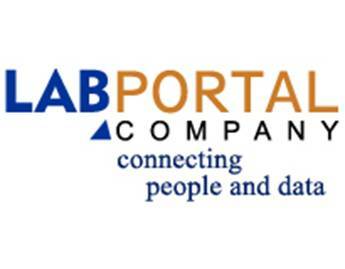 Pilgrim Software, Inc., a world-leading provider of Enterprise Quality and Compliance Management solutions, today announced it will be exhibiting at the Drug Information Association (DIA) 49th Annual Meeting: Advancing Therapeutic Innovation and Regulatory Science, June 23-27, 2013, in Boston. Pilgrim will showcase its latest product innovations, including its newly enhanced solution for managing complaints and adverse events, and its popular Cloud Solution offering.